The Apple iPhone 5C may be a brand new phone, but major retailers have already begun discounting it like its going out of style. Walmart, RadioShack, and Best Buy have all just announced a price drop on Apple’s new entry-level smartphone to just under $50. Perhaps most shocking of all, this is actually the second round of price cuts for the iPhone 5C. In early September, Walmart announced it would be dropping the price of a 16GB iPhone 5C from $99 with two-year contract to just $79. Best Buy responded by offering the phone with a $50 gift card, dropping its effective price down to $49. RadioShack has agreed to match the gift card offer through November 2. Walmart, meanwhile, has dropped the price on the iPhone down to a flat $45 through the holidays. Why the price cuts? 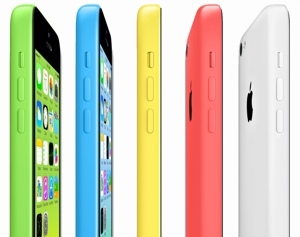 Though the iPhone 5C is currently the second best-selling phone in America, sales have been much lower than expected. Industry experts worry that's because the phone was initially priced too high to be successful – something retailers are no doubt trying to fix. And with the holiday shopping season beginning to build steam, it’s worth it for stores to discount phones to get more customers through the doors. For more on how to save money on your next smartphone purchase, check out Techlicious’s How to Get the Best Deal on a Smartphone guide.